The Phonic GEQ 1500, a dual channel 15-band equalizer, offers either 6 or 12 dB of cut or boost in 2/3 octave steps, with standard ISO center frequencies between 25 Hz and 16 KHz. 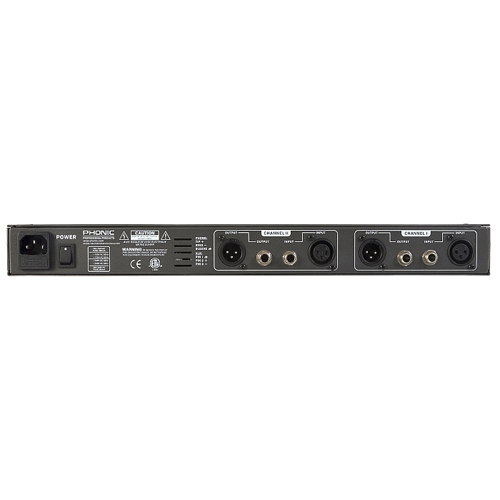 The unit offers both 1/4" and XLR inputs and outputs, and has 4-segment metering on output channels. 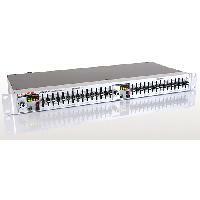 The GEQ 1500 is a single rack space unit and is ideal for both touring and fixed PA installations. Еквалайзер Phonic GEQ1500 200.00 BGL без ДДС бр.